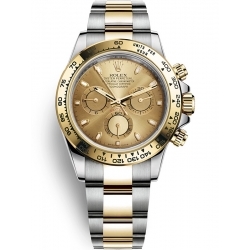 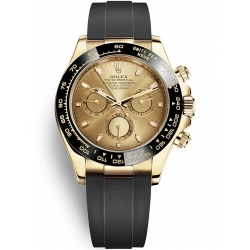 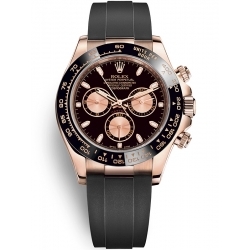 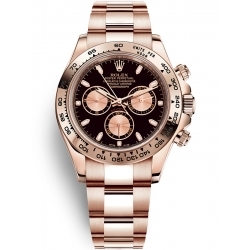 Rolex Cosmograph Daytona watch collection is designed to be the perfect companion to professional race car drivers, and continues to stand out in a class of its own among all sport chronographs due to its mastery over symmetry. 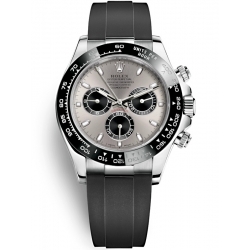 As an ideal instrument for calculating elapsed time and average speeds, Cosmograph Daytona watches by Rolex, uses high-precision timing through its central sweep seconds hand, accurately displaying time down to the 1/8 of a second. 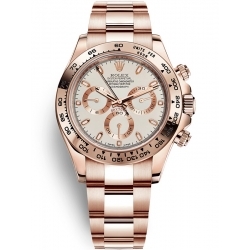 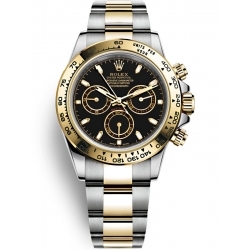 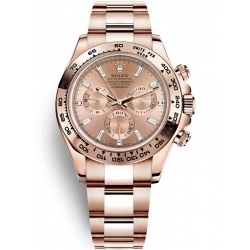 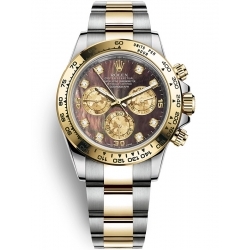 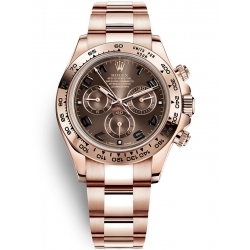 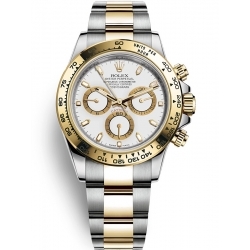 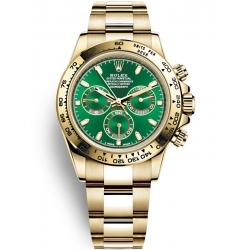 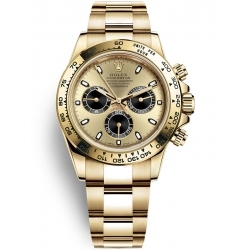 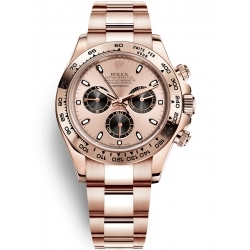 This Rolex watch collection comes in a range of colours, including pink, white and yellow gold, platinum, oystersteel and a combination of stainless steel and gold, and sports a 40 mm diameter face, covered by a scratch resistant crystal sapphire. The rounded bezel is fixed in place with an engraved tachymetric scale, and surrounds Rolex’s patented Cosmograph dial. Daytona collection includes either the standard oyster bracelet, or the durable oysterflex bracelet, a metal strip surrounded in a rugged, high performance elastomer, each of which has a 5 mm comfort extension link.